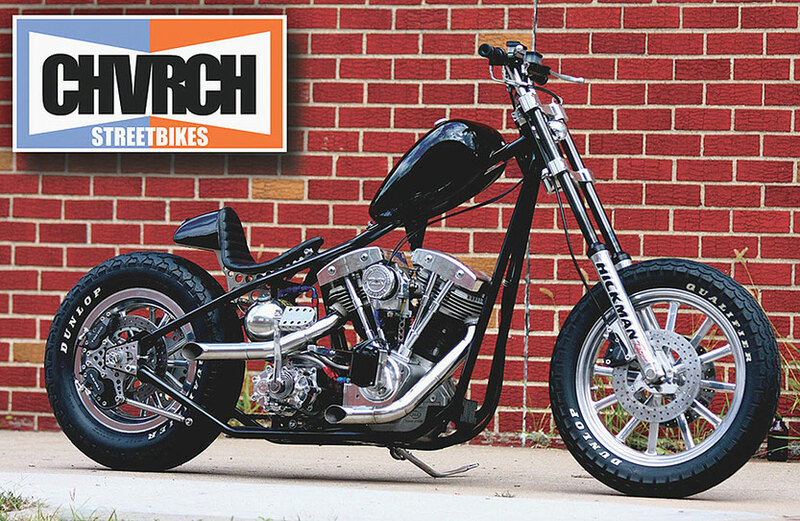 Church Of Choppers guru Jeff built this Shovel for the S&S 50th anniversary bike show. Only the essential top end components were fitted on this clean and narrow highneck, which I liked even more when it was painted black after the S&S show. Boyd really outdone himself on this project. 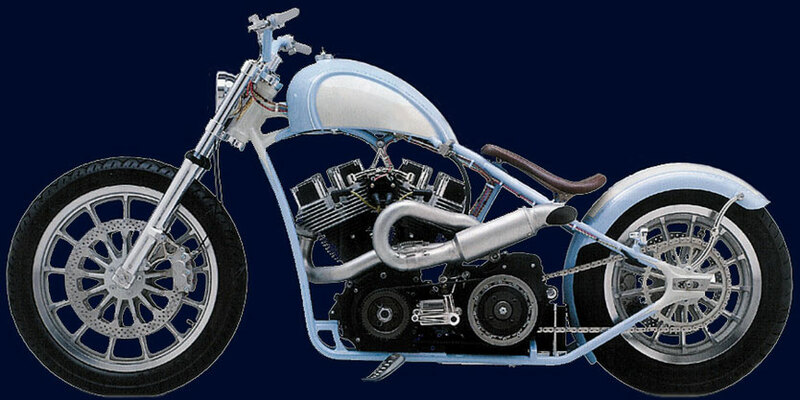 Immaculate detail makes this an extreme personalbike. Awesome! 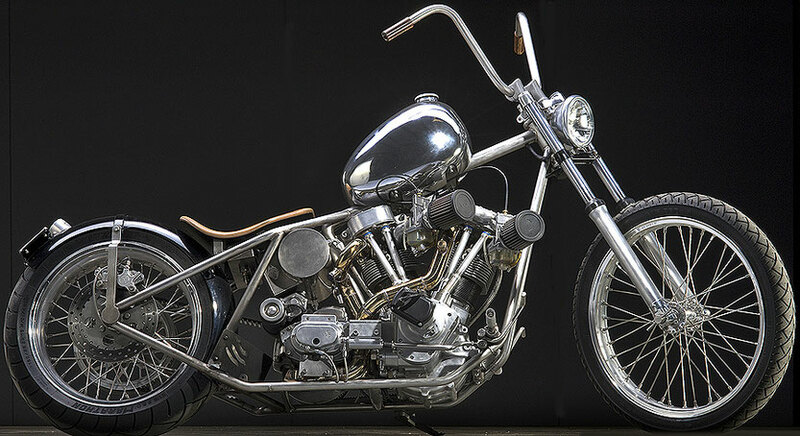 For me the most underrated bike of the 2008 S&S 50th Anniversary competition.Love it, but hate the studs on the saddle. Just the bare essentials! Nothing really special, but everything done minimal and very tastefull. A timeless beauty. I'm in love with this motor. Heads & cilinders from small airplane engine on custom made engine cases. Made by Lock Baker of Eastern Fabrications. Pure genius! 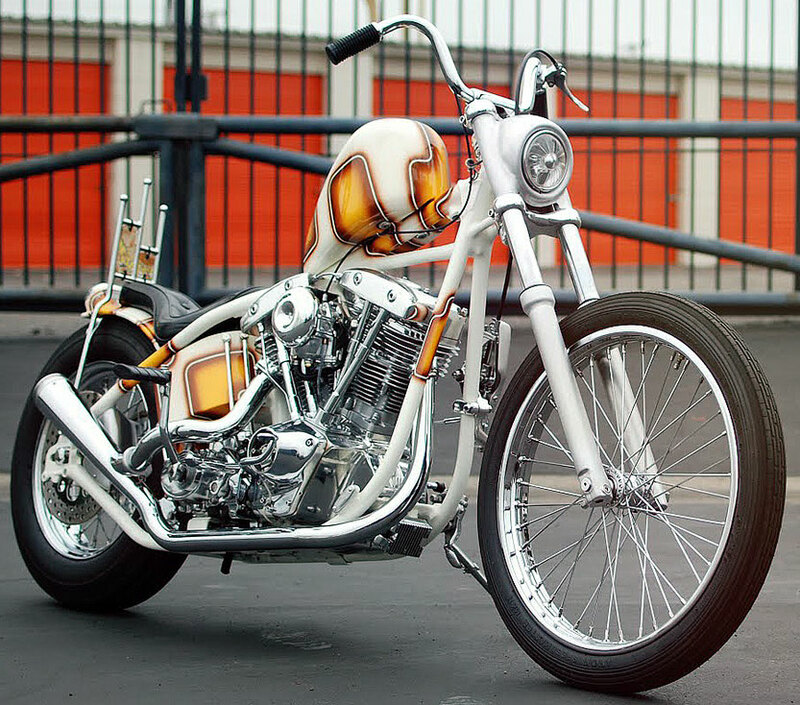 Great paint job, great name, great bike! 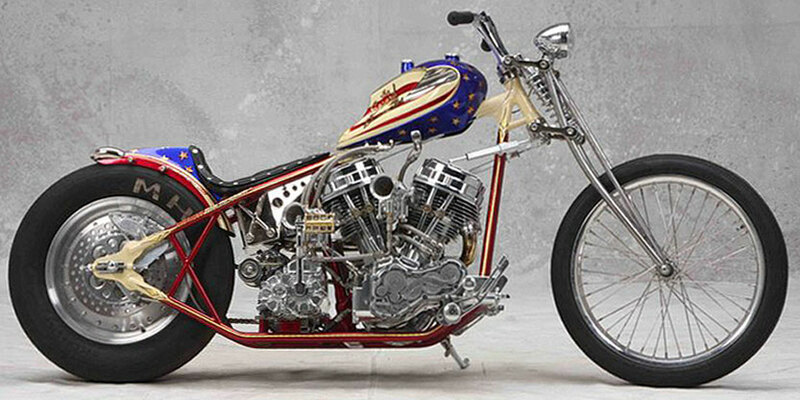 A bike that made a big impact on me when I first saw it in '76. 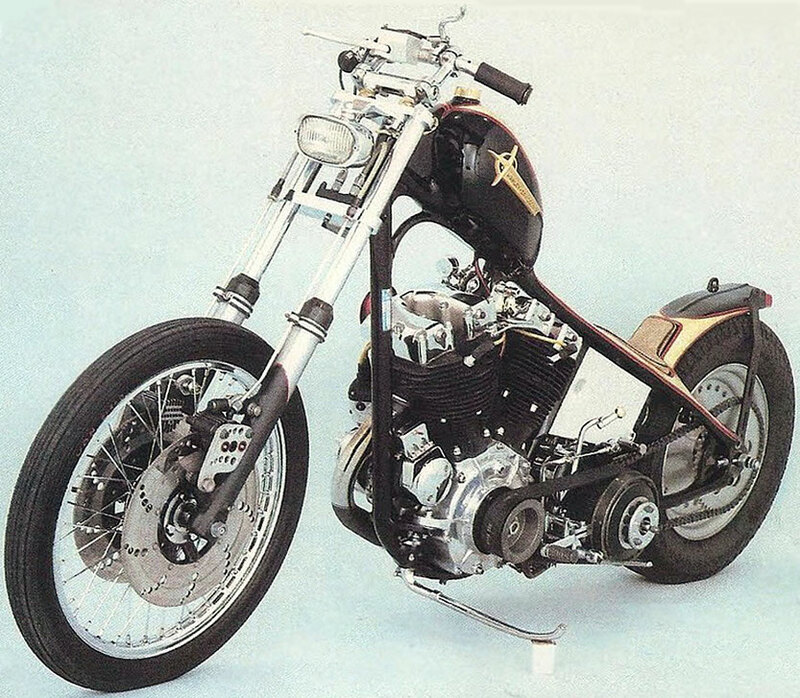 A few years later it was rebuilt with a modified frame, new wheels, forks, brakes and repainted in the black/ goldleaf finish you see here. 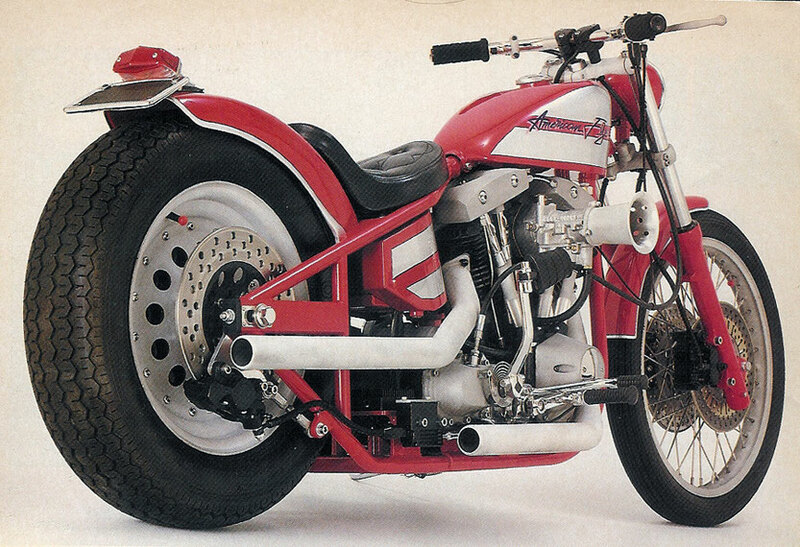 Another great "built from scratch" bike from the eighties. Gary Muench. 1983 & Bill Coricelli. 1984: Built from "scratch"